Nothing sets off a look that a crisp white shirt. 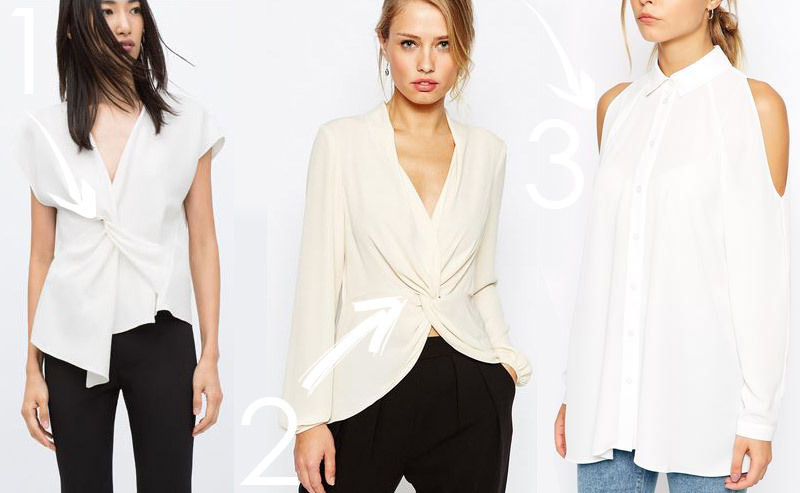 However, white shirts to do not have to be boring and basic. These all have interesting details and are super chic. Interestingly, in the summer I was craving the color black and now that the seasons are transitioning, I am utterly obsessed with white. Aren't I just the little rebel.